Park Sung-woong in the middle of success with "Remember" and "A Violent Prosecutor"
Actor Park Sung-woong is playing all over the ground. He is currently starring in the successful SBS drama "Remember" and also starred in the movie "A Violent Prosecutor". Park Sung-woong plays Park Dong-ho in "Remember" and is helping Seo Jin-woo (Yoo Seung-ho) get his revenge on Nam Gyu-man (Namgoong Min). He is pretending to be on Nam Gyu-man's side but is actually handing over all information to Seo Jin-woo and is looking for a way to reveal Nam's corruption to the world. 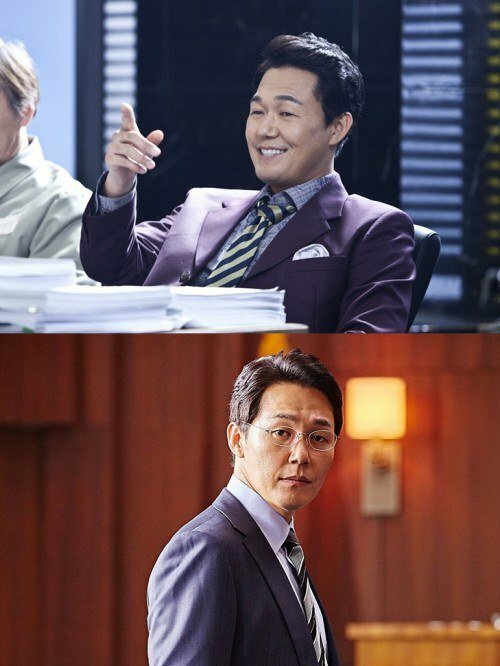 Not only that, in "A Violent Prosecutor", Park Sung-woong plays Yang Min-woo who dreams of being a star prosecutor. He is well suited and will do anything for his success in the beginning of the movie but as the movie goes on, his character is clumsy and full of holes. Park Sung-woong is greatly popular among drama and movie fans for his responsible character and his humor and wit. "Park Sung-woong in the middle of success with "Remember" and "A Violent Prosecutor""
"A Violent Prosecutor" Hwang Jung-min, "Gang Dong-won is cute"